A hereditary chief and residential school survivor who serves as ambassador for Reconciliation Canada will share his story at UFV on Wed, October 25 at 6 pm. Chief Dr. Robert Joseph will speak as part of the President’s Leadership Lecture Series at UFV, which this fall is aligned with the Witness Blanket exhibit currently on display, and examines the residential school experience. His talk will take place in the Student Union Building on the Abbotsford campus. Admission is free and the public is welcome. Chief Joseph is a true peace-builder whose life and work are examples of his personal commitment. A hereditary chief of the Gwawaenuk First Nation, he has dedicated his life to bridging the differences brought about by intolerance, lack of understanding, and racism at home and abroad. As one of the last few speakers of the Kwakwaka’wakw language, Chief Joseph is an eloquent and inspiring ceremonial house speaker. He shares his knowledge and wisdom in the big house and as a language speaker with the University of British Columbia, an internationally recognized art curator, and as co-author of “Down from the Shimmering Sky: Masks of the Northwest Coast”. 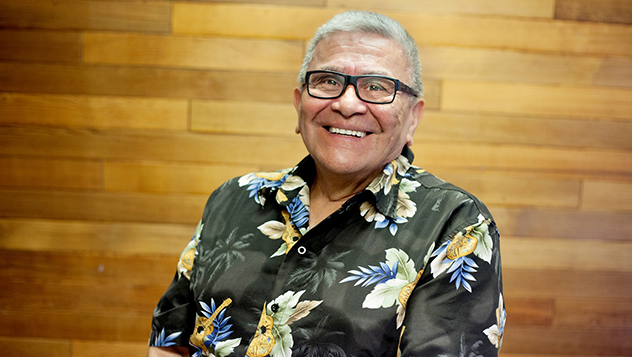 Chief Joseph is currently the Ambassador for Reconciliation Canada and a member of the National Assembly of First Nations Elders Council. He was formerly the Executive Director of the Indian Residential School Survivors Society and is an honorary witness to Canada’s Truth and Reconciliation Commission (TRC). As Chairman of the Native American Leadership Alliance for Peace and Reconciliation and Ambassador for Peace and Reconciliation with the Interreligious and International Federation for World Peace (IFWP), Chief Joseph has sat with the leaders of South Africa, Israel, Japan, South Korea, Mongolia and Washington, DC to learn from and share his understanding of faith, hope, healing and reconciliation. In 2003, he received an honorary degree from the University of British Columbia for his distinguished achievements in serving BC and Canada. In 2012, he was presented the Diamond Jubilee Medal by the Governor General of Canada. In 2014, he received the Jack P. Blaney Award for Dialogue from Simon Fraser University and an honorary degree of divinity from Vancouver School of Theology for his work in reconciliation and renewing relationships between Indigenous peoples and all Canadians. 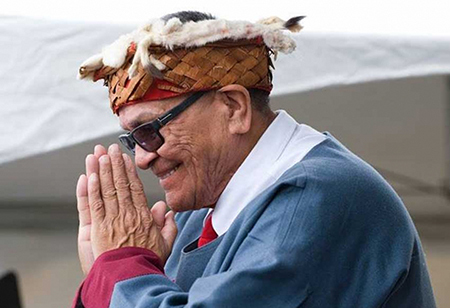 In 2015, Chief Joseph was presented a Deputy Ministers’ Recognition Award for Collaboration and Partnerships and was appointed to the Order of British Columbia, the Province of British Columbia’s highest honour. In 2016, Chief Joseph received the Wallenberg-Sugihara Civil Courage Award and the Indspire Lifetime Achievement Award.